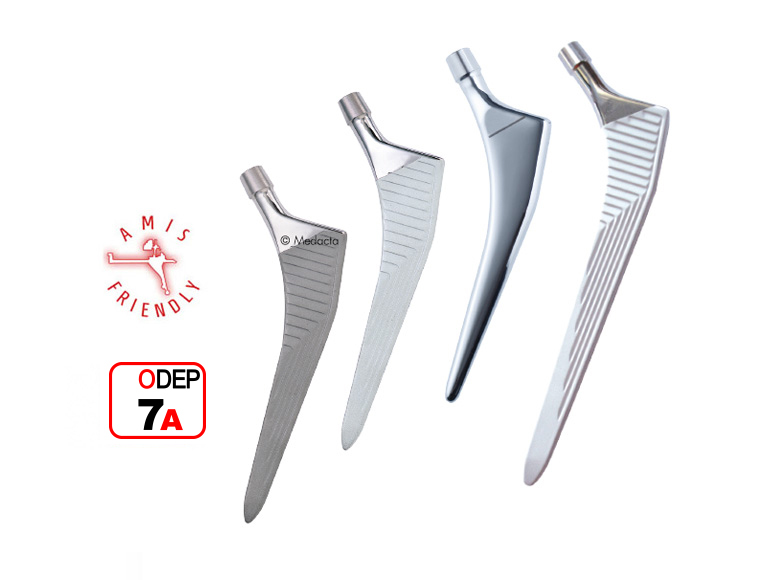 Furthermore, compared to the total hip replacement, hemiarthroplasty procedures involve shorter surgical times and lower medical and prosthesis costs. 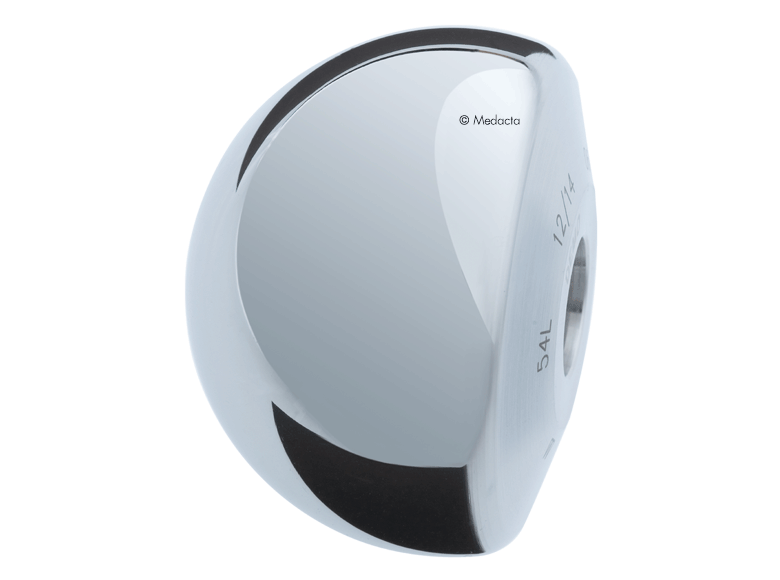 The Medacta Endo Head is a product suitable to perform hemiarthroplasty on any hip joint whose acetabular conditions are satisfactory. 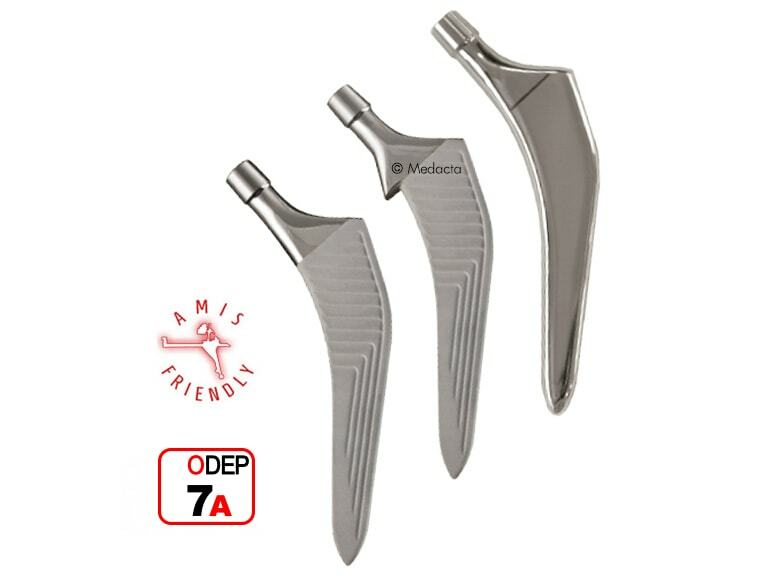 The Endo Head is an unipolar prosthesis made of High Nitrogen stainless steel that consists of a monobloc prosthetic femoral head articulated directly with the patient's acetabulum. 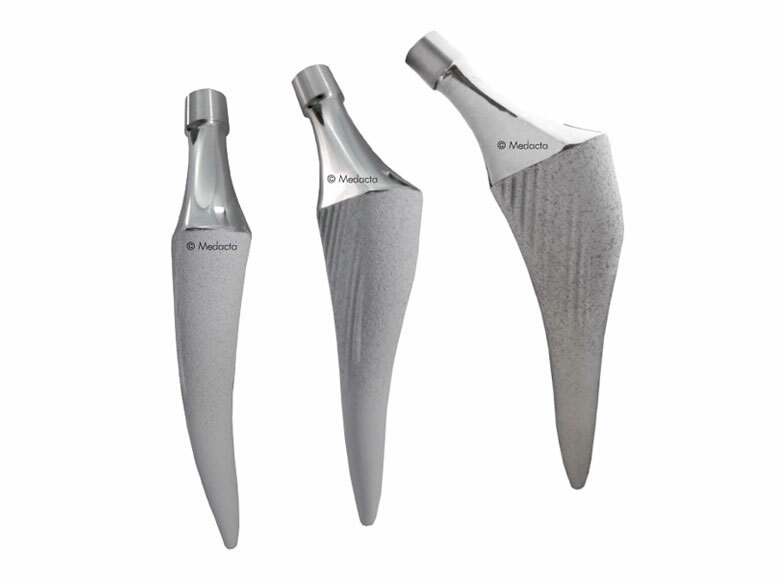 It is designed to be assembled with all the Medacta stems with 12/14 taper. Three sizes (S,M and L) are available for a 12/14 taper with an outer diameter varying from 40 to 56 mm with a 2 mm increment between sizes.